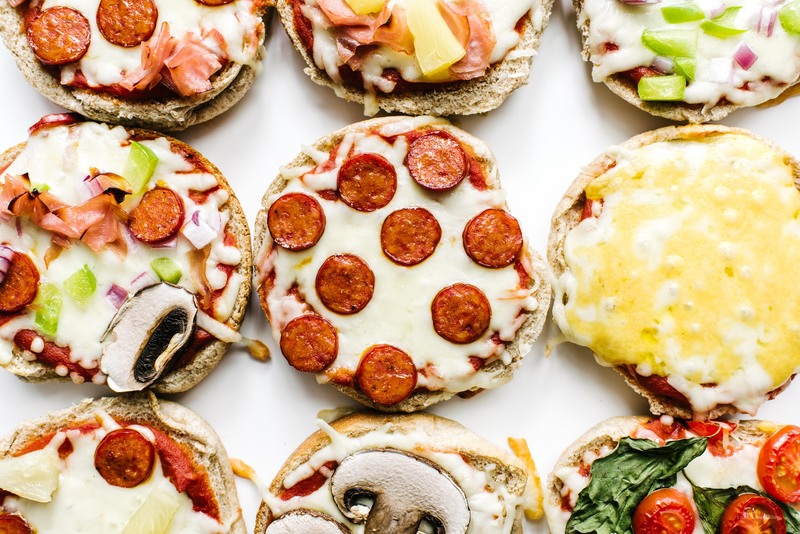 Give me ALL the pizza toasts! Was there any after-school snack that was better than pizza toast? Wait, don’t answer that because asking me to choose between after-school snacks is just too cruel – they’re all so good. 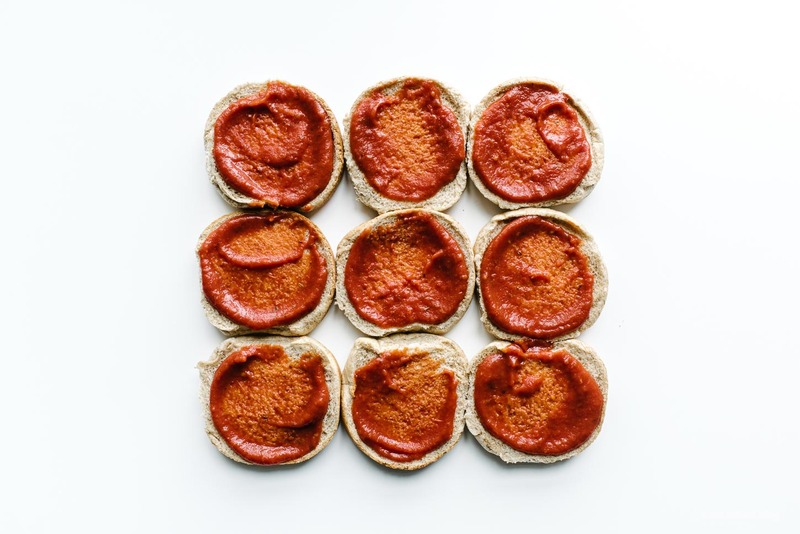 But, pizza toast holds a special spot in my heart because it was one of my small repertoire of recipes that I could make on my own, at seven years old. Other recipes included: regular toast, butter and sugar toast, instant noodles, and scrambled eggs. 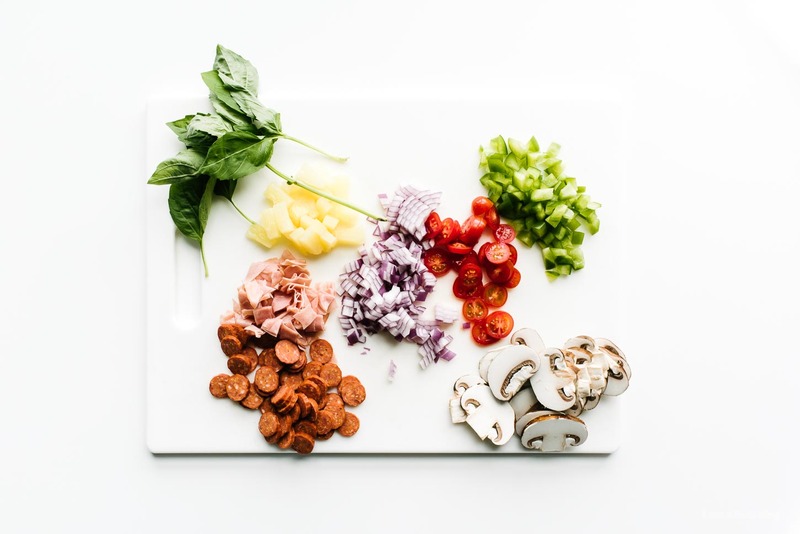 Hmm…my recipe list wasn’t very long! But, even though I can make way more things now, sometimes I just want to go back to the wholesome feeling of being a kid again. Hence: pizza toast! It’s been a long time since I’ve had pizza that wasn’t proper pizza and after biting into these guys, fresh out of the oven, both Mike and I smiled. They tasted just like childhood. We had a bunch of fun coming up with combos and taste testing them against each other. Mike was all about the deluxe and I was all about the ham and pineapple. Speaking of pineapple, are you for or against it? I don’t know why people hate on pineapple on pizza. Remember that whole internet debate about it? The Icelandic president said he wanted to ban pineapple on pizza. And then Gordon Ramsey said that pineapple doesn’t belong on pizza?! I LOVE pineapple on pizza! For the record, Mike does too, one of his favorite combos is pepperoni and pineapple. How could you not love the sweet-tartness, balance, and complexity pineapples add? What about you guys? Are pro-pineapple? Anyway, debate aside, happy pizza toasting! 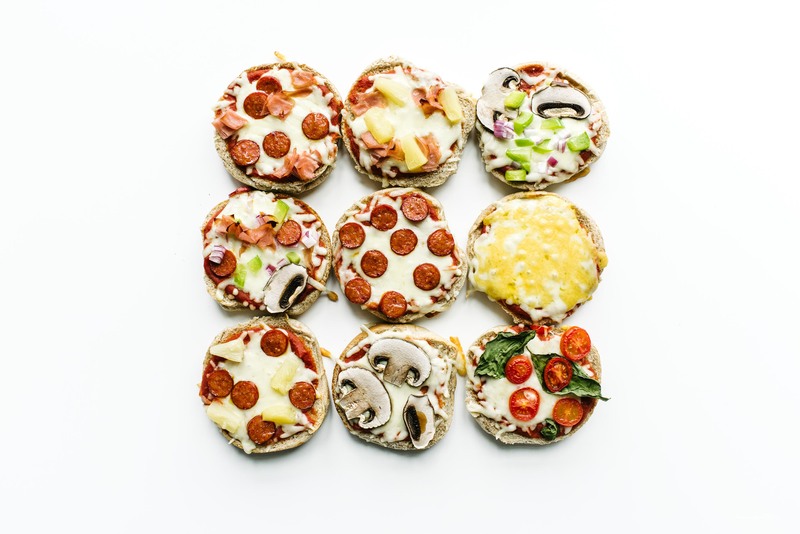 PS – If you love mini pizzas with all different toppings, check out this post! Lightly spread pizza sauce onto the buns. Top with shredded cheese and toppings of choice. Lightly toast until the cheese is melty and the bread is slightly crisp. Enjoy immediately! Toppings wise we did: ham and pepperoni, ham and pineapple, veggie (mushrooms, peppers, onions), deluxe (ham, pepperoni, peppers, mushrooms, onions), pepperoni, cheese, pepperoni and pineapple, mushroom, and tomato basil. 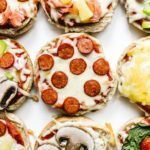 I partnered with 150 Buns of Summer to create this post. Enjoy!